September 12, 2012 by iCepts Technology Group, Inc. Comments Off on Everything is Going Mobile These Days? How about Mobile ERP? Give your sales representatives a competitive edge and acces important information "out in the field" to provide better service for your distribution customers with Microsoft Dynamics NAV + Mobile ERP Sales! Dynamics NAV Mobile Sales gives sales representatives access to customer, product, and order history information from your organization's Microsoft Dynamics NAV system. It allows them to create orders, and print order confirmations and invoices. The user selects a customer and the appropriate information is displayed. This includes historical information such as open orders, last orders, and ledger entries. Using ExpandITs unique offline/online technology we display additional information when there is a connection to the server. The Order Application allows entry of new sales orders. Items can be added by typing in the item number, using a barcode scanner, or by selecting items in the Product Application area. 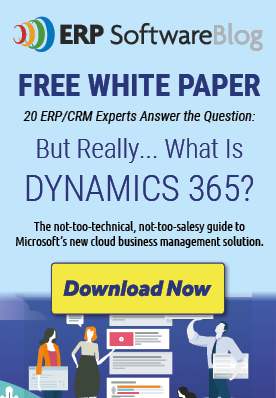 Some Mobile ERP Sales customers have modified the Calculate function to include discounts from the Microsoft Dynamics NAV System. The Order History Application is the representative’s access to previously obtained orders and contains such information as order date, ordered items, shipment date for each item or group of items, order number, quantity, and amount. There are customers who have modified this application area to include a Re-order function. Contact us for additional information, demo, or just questions about Mobile ERP Sales for your company! Posted in About Microsoft Dynamics NAV, Dynamics ERP for Distribution | Comments Off on Everything is Going Mobile These Days? How about Mobile ERP?